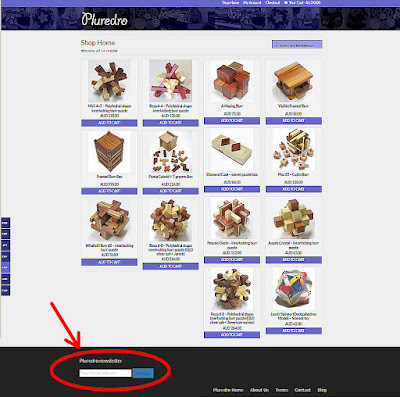 Pluredro shop has started distribution of the newsletter! We will send the newsletter when we start selling new puzzles, hold puzzle auctions on eBay or any other very important notices. Probably, the frequency of the distribution of newsletter will be once or twice a month. Then you will receive a confirmation email from us. Click the link of "Authenticate now" and all the procedure is done. We are currently making two new different puzzles. Please look forward to them!